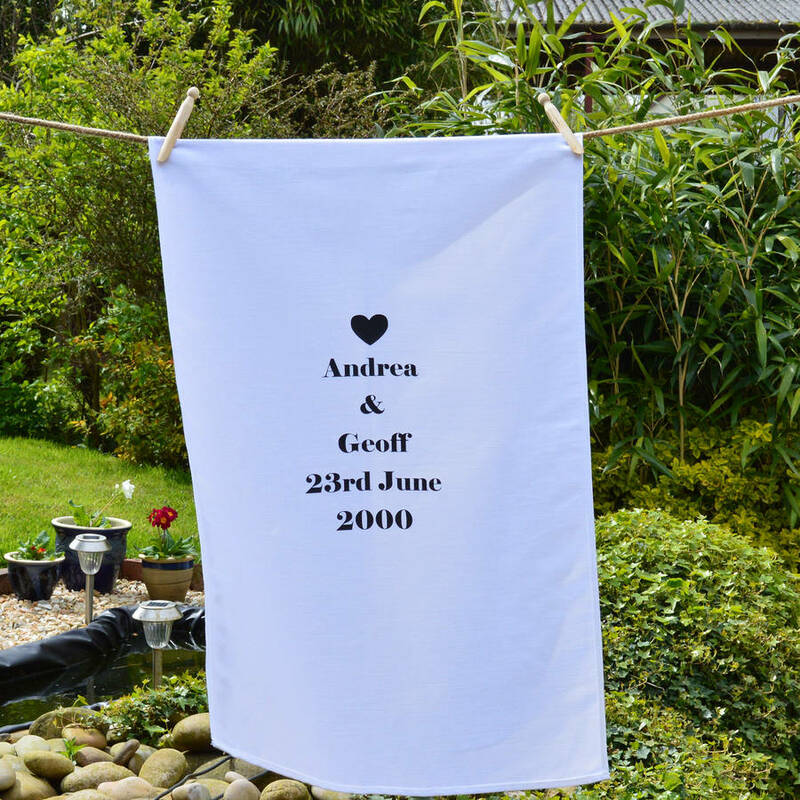 A totally unique and gorgeous 100% cotton personalised tea towel. 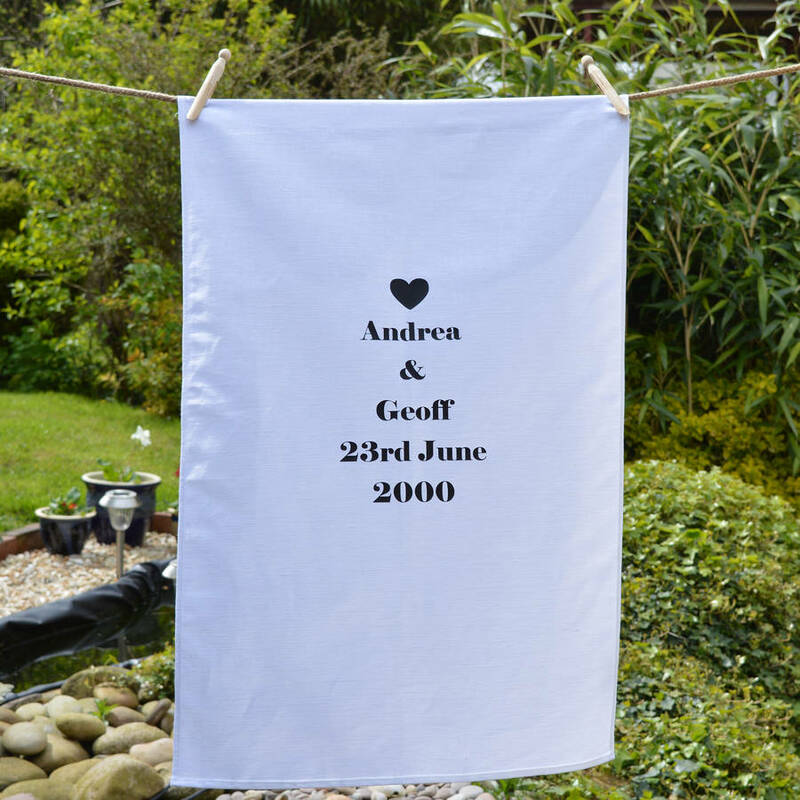 These tea towels make such a special gift for any happy couple. Perfect for any event such as a Wedding or Anniversary. 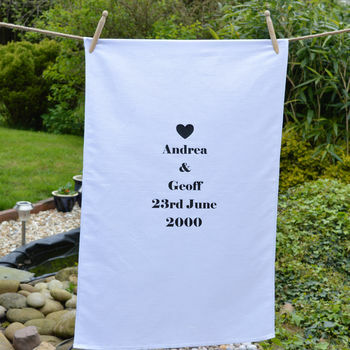 Especially perfect for a 2nd Wedding Anniversary gift, given that it is made from cotton! These make the perfect gift for any occasion, Birthdays, Valentines, Christmas, Weddings, Anniversaries, Easter, Mother's Day, or if you just want to treat a special family member or friend! Hemmed on two sides with the other two sides being finished by the selvedge of the cloth.